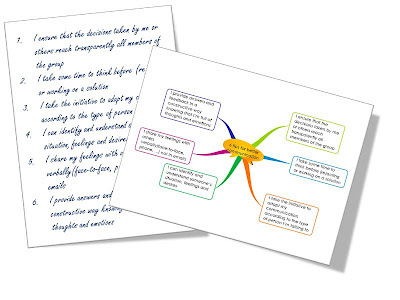 An important ingredient of an outstanding mind map is its visual dimension with the use of colours and spacial elements. With the introduction of mind mapping on computers, creators of true mind maps have the feeling of being limited in their creativity. But what computer applications deliver also depends on your ability to overtake the limits, to imagine beyond what you think the software allows you to do. An important ingredient of an outstanding mind map is its visual dimension with the use of colours and spacial elements. With the introduction of mindmapping on computers, creators of true mind maps have the feeling of being limited in their creativity. They are partially right because it will take a couple of years before they will get the freedom we have with markers and paper. On the other hand, what computer applications deliver also depends on your ability to overtake the limits, to imagine beyond what you think the software allows you to do. That’s why iMindMap is revolutionary and sets the precedent in the field. The assumption I will ask you to make is that not all your mind map images must come directly from the iMindMap environment. Indeed you have a lot of other surrounding sources available in order to grab or build the most appropriate illustration for your ideas. Because going out of the box is not easy, I will post mind maps created with iMindMap that I hope will inspire you to go further with the tool. If you find them interesting, I will also give you access to the resources that will allow you to reproduce similar mind maps for yourself. 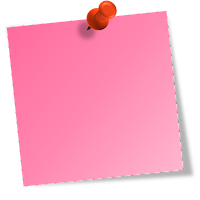 Today, I propose you an alternative to the box branch (which is mainly used for multiple word ideas or statements) and use the famous post-it. We will see that the idea can be applied for floating text annotations as well. It’s essentially for creating astonishing presentations that I’m sharing this tip with you. I’m well aware that if we transform texts into images, we lose them for export or other usage. Let’s imagine you and your team have brainstormed about changes that would help members to better communicate together. You end up with a lot of items on the flip chart and finally decide to vote and only keep the 6 most important ones. In order to create a contract, you have been assigned to re-formulate each item properly, present them to the team and print it out to have it signed by everybody. 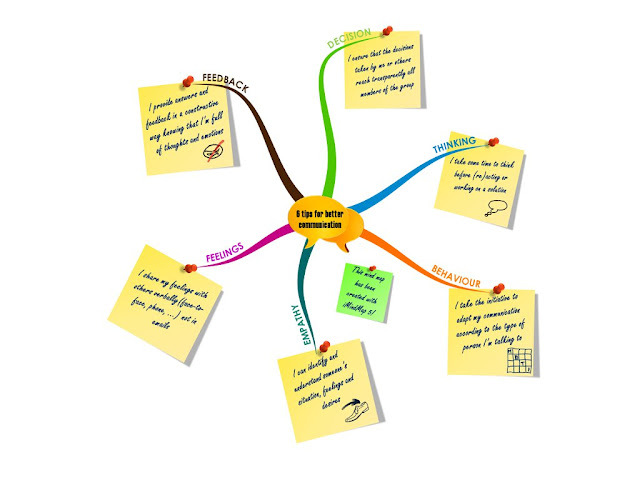 A traditional approach would be to list on a sheet of paper or a bit more innovative, to create a mindmap with 6 box branches, like here below. I must admit that the second one is already more engaging than the first one. But is it really enough? We all like appealing things. If we want to remember something, it should talk to us. If we want to hang it on the wall and see it every morning, we want it to be cool. If we want to commit to it, we need to be proud of what we sign. So, the final output must be different and could be something like the one below. I promised to give you the resources and the explanation that would allow you to include post-it in your mind maps. First, I would like to guarantee that all the images that I’m sharing with you here have been created by myself and I give you the authorisation to copy them for your own usage without any risk of copywriting pursuit. Here are the post-it high resolution images.. Here are the steps to get a post-it on your branch. Go to iMindMap, select your branch and paste the picture. 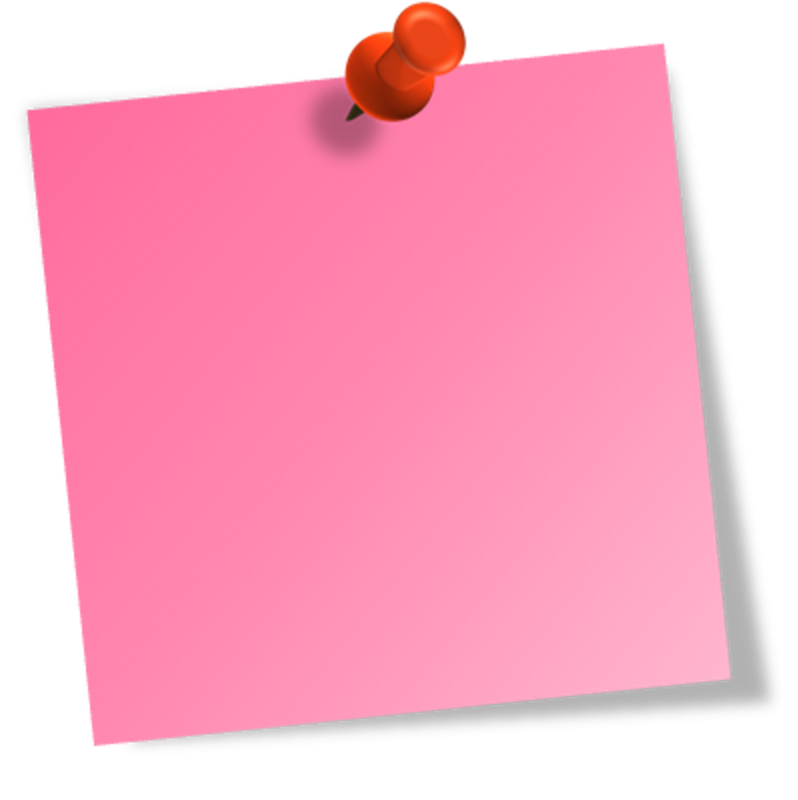 You can resize, move and rotate the post-it picture according to your needs. As mentioned earlier, you can also use the post-it to write and place a floating text annotation on your mind map. If you don’t want to link the post-it to a branch, paste your picture on the background (no branch selected). A new central idea will be created (iMindMap supports multi-maps) that you will be able to move and resize (rotation is not supported in this case). I recommend that you turn off Smart Layout (Format menu) if you want to place the post-it concurrently with your initial mindmap. I have been using real post-it's for years when doing business process modeling on brown paper; the appearance is appealing and the post-it is functional for maintaining the model. Try using colored strings to join the thoughts. Thank you Arthur. Do you mean I should try to use a brown background and write texts in different colors on the post-it? Well done Phil!! Great creativity used on this and your tree. 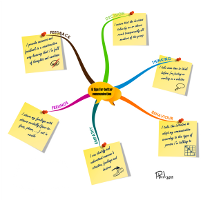 The iMindMap 5 software is just briliant by itself and adding creativity adds to the fun. WoW! I truly admire your technological know-how. This truly brings the already gret iMindMap5 even more alive! Besides, sharing it with the community is the way forward, open, like a MM. Thank you for your feedback. I hope I will continue to amaze you on this blog. Your ideas are welcome of course. Good idea, I am going to use it very often. Thanks for sharing. I need more colors, can you give me the SVG file or publish them? That's an excellent and very informative.! Thanks you for informing. It is a nice view which will be very effective to all of them. After reading this post I have known some important info about the a Beyond the limits of a software. Thanks a lot.